Low Speed Vehicles that run on electric are the latest revolution in automobile technology. The cars are built in the trendiest of designs, with the most comfortable, luxurious seating and equipped with the latest technology accessible, without compromising on the safety and efficiency of the vehicles. There are utility vehicles available for multiple purposes and functions that can also be further customized as per your preferences. Right from patrol vehicles to aid the enforcement agencies to ambulances that cater to the needs of the medical industry, low speed vehicles are being preferred over other automobiles due to their multi-purpose functionality, efficiency and environmental benefits. Golf Cars are exclusively designed for aficionados of the sport in order to enhance their golfing experience and make it even more enjoyable. The cars available with us have been built with efficient engines, plush comfortable interiors and ultra-modern steering as well as navigation capabilities that allow you to have a smooth ride to your golfing destination. The cars are equipped with the latest features, accessories and technology, such as golfing bags, rear lockable trunks, tinted windshields and even cup holders, predominantly modelled to suit the requirements and inclinations of a typical golfer. The golf cars have a sturdy chassis and durable tires along with an efficient suspension system, which make them the perfect vehicles to move on and off the golf course no matter the terrain. The next time you ride through the golf course in one of these cars, be ready for the attention, respect and enhanced capabilities that the golf car brings along with it. These days, one person cannot go from point A to point B without getting in or using some kind of motor vehicle. This is quite unsurprising, considering the wide range of vehicle options in various price ranges available these days. However, if a full-blown vehicle is too much for your everyday short-distance errands, then there is another option you can consider – low-speed vehicles. Low-speed vehicles or LSVs are exactly what its name signifies – legal class 4-wheel vehicles with maximum capable speeds of around 25mph (40km/h), and a minimum capable speed of around 20mph (32km/h). 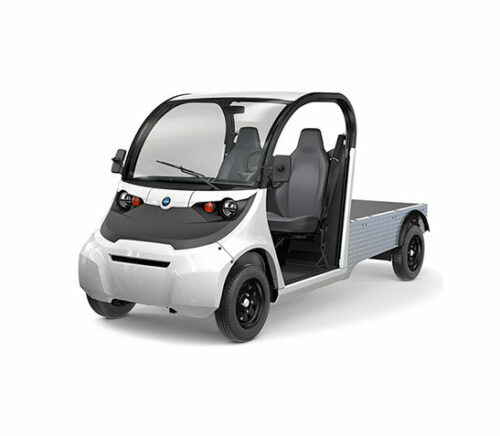 It is quite similar to golf carts and neighborhood electric vehicles (NEV), but they are commonly used in public roads that are inaccessible to both. At the same time, most low-speed vehicles resemble typical cars, so if you do not want to go around your neighborhood in a golf cart, then low-speed vehicles are for you. What are the differences between low-speed vehicles and golf carts? Aside from resembling regular cars and the aesthetic factor, LSVs differ from golf carts in terms of speed. Golf carts run on a maximum speed of 15mph, compared to the aforementioned LSVs capacity of 25mph, so the latter is generally faster. LSVs also have headlights, turn signals, seat belts, mirrors, and even a VIN number, while golf carts do not. 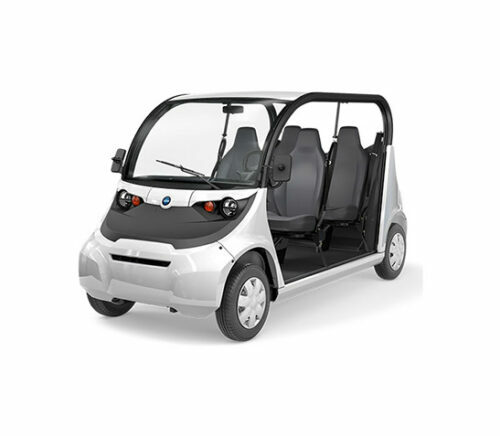 Additionally, whereas golf carts are restricted for use in the golf course and in some gated communities, LSV’s can be used and driven on streets with a posted speed limit of 35mph or less. So LSVs are more viable to use for short errands within your community or city – although this will also depend on your state’s regulations on LSVs. What are the advantages of using low-speed vehicles? Saves money. Using LSVs for short errands instead of a regular vehicle would amount to a lot of savings for your family, in terms of fuel cost and even maintenance. Saves the environment. You are also doing the environment a favor if you opt for a LSV as using one can reduce your family’s carbon footprint. Motor vehicles are one of the main contributors of greenhouse gases, so minimizing its use in a week is also a big deal for the environment. Plus, the use of LSVs can minimize the use of fuels – which is a non-renewable source of energy. So this makes your short errand trips a whole lot eco-friendly. Saves your car. Aside from saving money and the environment, using LSVs for short errands also minimizes the wear and tear on your car. Gives you a chance for a breath of fresh air. You will also be doing yourself a favor by driving LSV’s, as it will be an opportunity for you to get a much-needed breath of fresh air. Who would want to be cooped up inside an air-conditioned car when you can enjoy your neighborhood’s clean air? Plus, fresh air is good to freshen your mood and boost your immune system. Supports the transportation requirements of those with accessible needs. A LSV would also be a great transportation option for those with accessibility needs. If you or one of your family members uses a wheelchair, all you have to do is roll into a LSV and lock your seat in place. No chair lift equipment and wheelchair storage needed. So a LSV can be a great and quick option for independent transportation. What do I need to know and consider in buying and driving an LSV? Your community and even state’s LSV regulations. Before getting your own LSV, you should first research on your community and even city, or state’s regulations on the use of one. LSV regulations differ for each location. Low speed cars in New Jersey for example, should have an attainable speed of more than 20mph, but not exceed 25mph. At the same time, some municipalities in New Jersey allows the use of LSVs in roads that have speed limits of less than 35mph, but it must be noted that golf cars in New Jersey are not allowed to do so. Also consider state requirements and standards, such as securing the appropriate licenses, titles, insurance, and even decals. Your distance and usage requirements. Once you have ensured that you can legally drive a LSV in your area, the next question to ask is where do you plan to use it? Again, make sure that your planned route allows LSVs or are roads that have a speed limit of less than 35mph. Do you intend to use it to ferry your kids from home to school and vice versa? Will it be used to go to your town’s commercial center or will it be limited to neighborhood drives? Doing so will give you an idea about the battery requirements you will need for your LSV. Your passenger and load requirements. This will also be a big factor in choosing the right LSV for you. If you intend to use it to ferry your family around, then a 4-seater LSV might be more suitable. On the other hand, if it will be used to haul groceries or even business items, then a LSV with a carrier or compartment would work great. Wide variety of choices. We have an extensive range of LSVs for you to choose from – from vintage-styled automobiles, rugged cars, to utility trucks that can ferry you and all your gear. 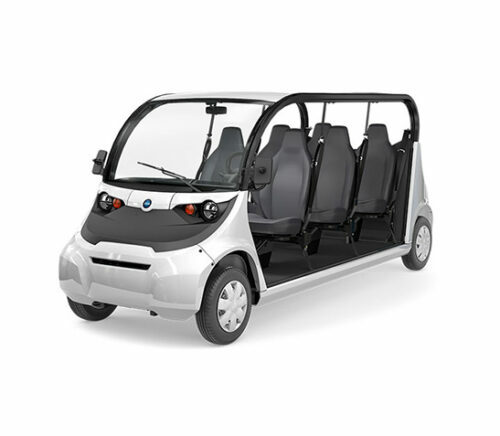 Our options include popular LSV manufacturers such as E-Z-GO, GEM, Star EV, SCG, and Tomberlin. Our LSVs also come in a wide range of prices, and passenger and load capacities. 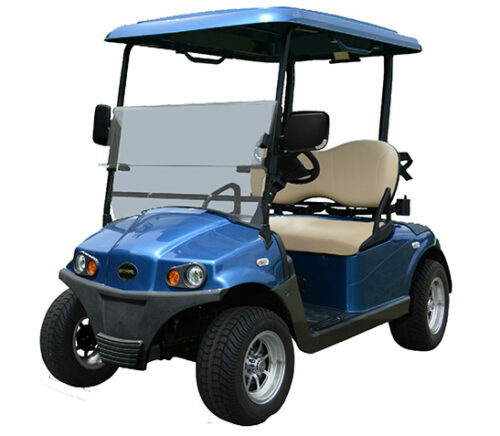 Each can be used for community driving or even as a golf cart, and are guaranteed to be low cost and low maintenance. Quality assurance. All our LSVs go through extensive and rigorous quality assurance tests to guarantee that they are in the best possible condition. Advanced features at an optimum value. Our LSVs are all designed to provide you a premium ride and an overall excellent experience. Of course, each of our LSVs also complies with state requirements in terms of built-in street-legal features. Premium service. Aside from our LSVs’ quality and durability, we also offer international standard services to keep your LSVs up and running. We offer winter storage solutions, repair, and maintenance services to keep your LSV in its best working condition. For low-speed vehicles, you have come to the right place – Golf Cars Unlimited. You can browse our wide range of LSVs below, or contact us today for any inquiries and to get your very own LSV. We would be more than happy to assist you.